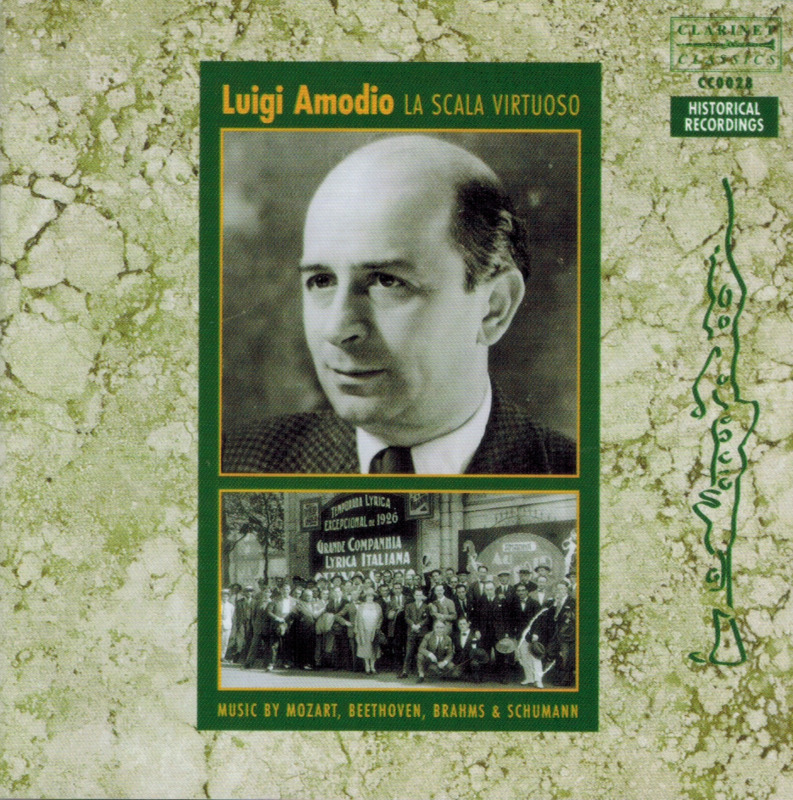 “An exciting historical recording featuring the playing of clarinettist Luigi Amodio, known principally for his playing in La Scala Opera Orchestra under Arturo Toscanini. 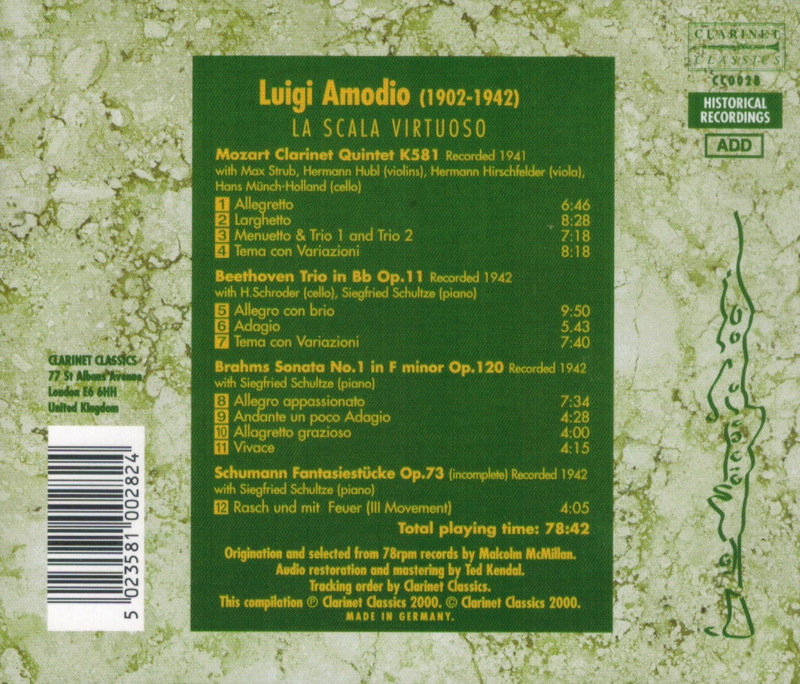 Amodio produced nearly all his solo discs from just before the start of World War II until 1942 when his early death from cancer cut short his flourishing career. He travelled widely and played with all the major string quartets.